VEI is proud to present the VEI Annual Report 2017. 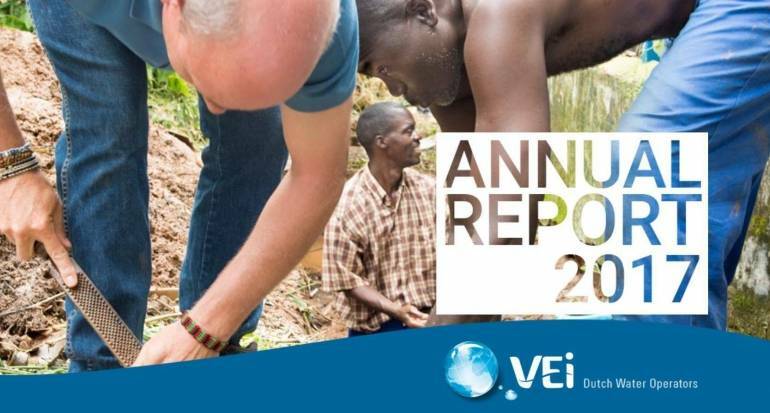 In 2017, VEI worked on 43 projects in 20 countries in Africa, Asia and South America. Thanks to the effort of VEI more than 225,000 people directly gained access to water and/or sanitation. For VEI, 2017 will be marked as the year when we successfully developed and kicked-off the WaterWorX program. The WaterWorX program provides for VEI a steady fundament for continuously making a sustainable contribution to the realization of the Sustainable Development Goals.